MONDAY  do some sailingits only a short distance to your next anchorage! If you have made it only as far as Falso, head for Caleta Partida. If you have reached either Caleta Partida or San Gabriel, head for Ensenada Grande, on the island of PARTIDA. Take the kayaks and go to the beach; do some rock climbing; fish from SeaScape or the Whaler. My favorite spot in Ensenada Grande is the southern finger where youll find beautiful rock formations and a small beach at the head of the bay. In the evenings, I have heard owls and triple echoes! Tuck back in there as far as feasibledo not anchor in less than 15 ft. of water. TUESDAY  this is a big day for you. If you are at Caleta Partida, just bypass Ensenada Grande and catch it on your way back. Be sure you leave by 9:30 a.m. so youll have plenty of time to stop at Los Islotes and still sail to San Francisco island during daylight. LOS ISLOTES, at the north end of Partida island, has the largest sea lion colony in the Sea of Cortez. This is your chance to snorkel with them for the highlight of your trip! Youll see lots of day-trip boaters from La Paz. DO NOT ANCHORuse the bouys provided. Please leave one person aboard Seascape at all times. 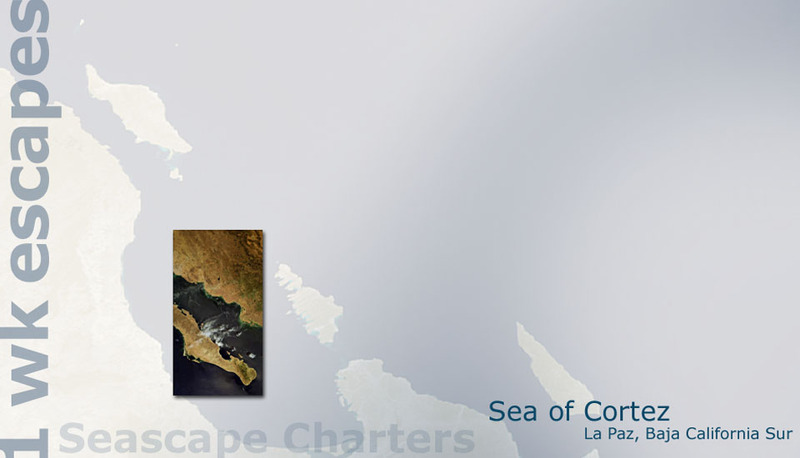 Created for GoBaja Charters, on the Sea of Cortez, La Paz, BCS | ©2011-2019 by Baja Solutions | Baja California Sur, México. All rights reserved.